Education: Furr High School, Houston, Texas; Sam Houston State University, Huntsville, Texas. Events: 60M, 100M, 200M and 400M. 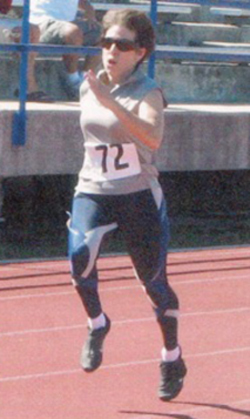 Career Highlights: Like most women in master’s track, I was not involved in any sports because they just weren’t offered. One event that was offered, though, was an annual powerpuff football competition waged between junior and senior girls. That did fuel in me a LOVE for football, so in 1978 when I heard that the newly formed Women’s National Football League was working to form a team in Houston, I jumped on it. 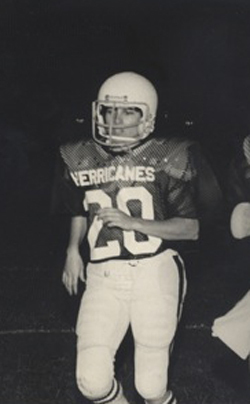 I played two years with the Houston Herricanes as a running back then “retired” and started my family. I was unaware that competition was available for USATF masters track until I had been involved in the senior olympics for about 3 years. 2007 – 100m – Silver; 200m – Silver and 4 x 100 Relay – Gold. Latest News: As a native Houstonian, I am eagerly anticipating competing in the National Senior Games to be hosted this summer in Houston, Texas.